Photographing skylines and cityscapes takes a lot of technical ability, both in knowing what gear to bring and how to capture a variety of lighting conditions. 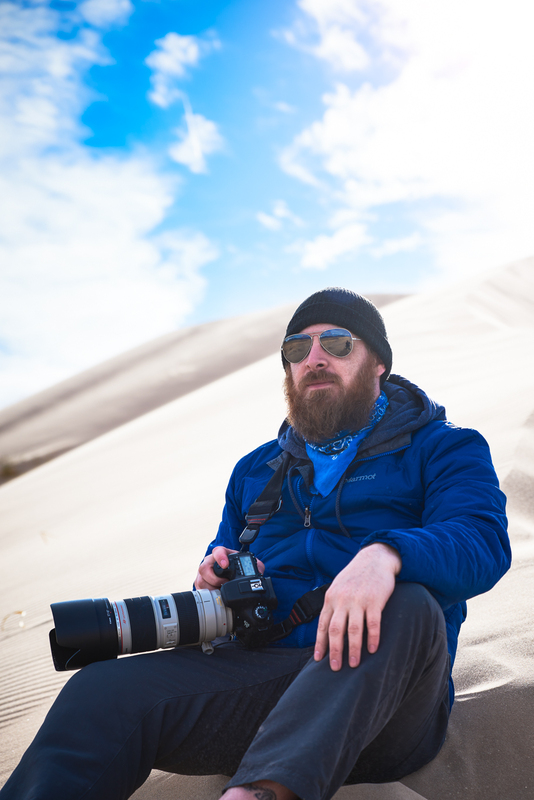 Many photographers have made careers out of perfecting this genre, taking it even further by mixing in astrophotography, light painting, and even motion. Whether you're looking to explore your own backyard or get more out of traveling, shooting skylines can open your eyes to new possibilities no matter what type of photography you shoot. A rough mock up of an Idea I had in post. I have never seen or photographed Fencing in person before the Olympics. I would barely say Ive even seen it on TV. Photographing Fencing would not have been my first choice and yet I think it was one of my favorite events at The 2016 Rio Olympics. No other venue in Rio has such theatrical lighting. The arena lights are dimmed so that the stands are dark while keeping the lights on the Fencers bright. The main stage was shaped like an X with 4 different sections each colored a different color with LED lights along the sides that lit up after a point was scored.. 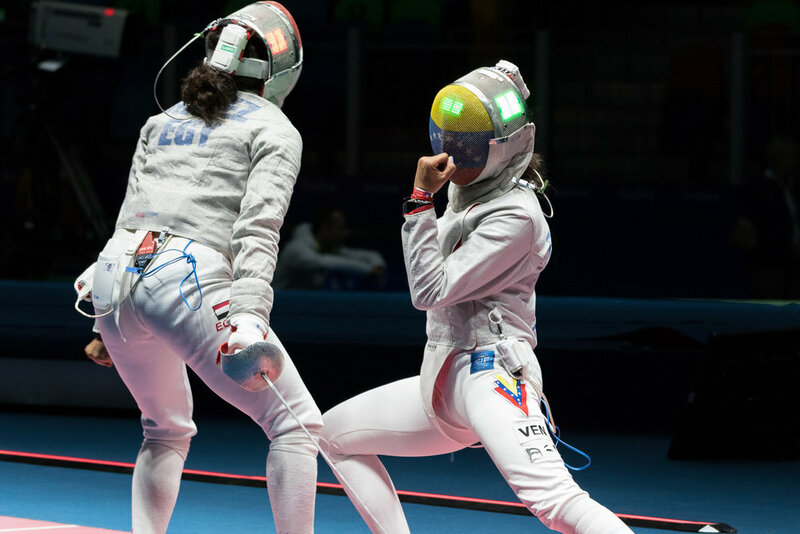 Even the The Olympic Fencing Masks light up with LEDs. Even if the lighting had not been amazing for Photography the actual action and acrobatics involved in fencing would be enough for me to want to go again. 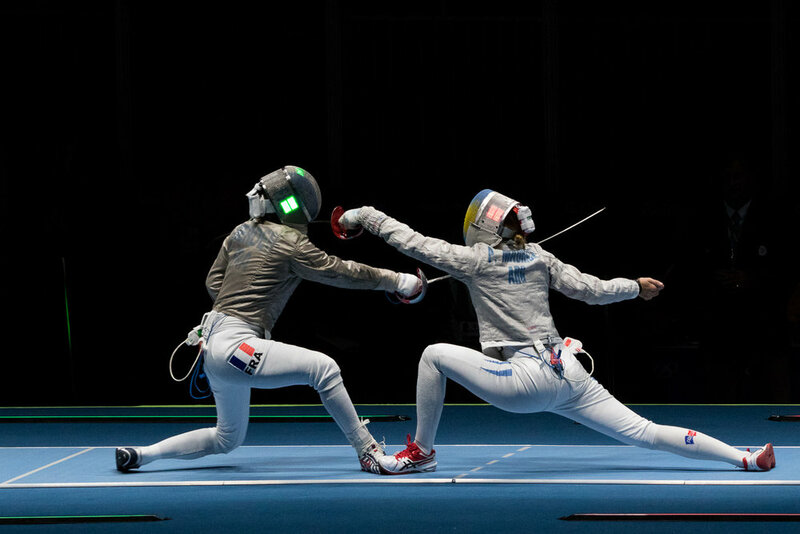 I photographed the Women's Fencing Sabre matches. I can only assume the men's Fencing is just as interesting but I can't image they are as Acrobatic. I think you could literally close your eyes, press the shutter and capture an amazing moment. In a single 10 frame burst during a lunge or parry you can easily capture 4 or more great images. 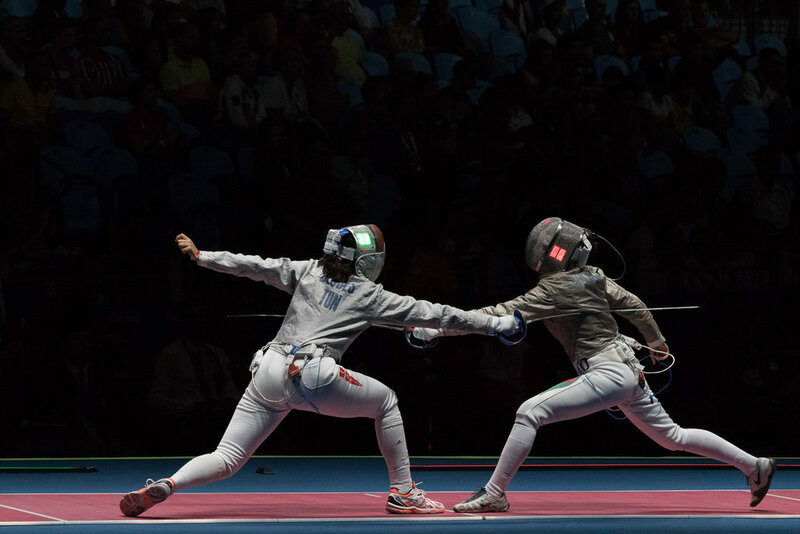 Choosing which shots you like the most becomes the hardest part of photographing Fencing. I shot so many images that I was happy with early in the matches I was able to start experimenting. Before I arrived at the arena I had an image in my head I wanted to capture. I made several attempts at trying to slow the shutter speed down and capture the fast motion of the lunges. this is something I have done with Athletics and other sports but I had a feeling it could really be cool with Fencing. I definitely didn't master the concept but I think I got a couple shots I liked. If the dance like acrobatics wasn't enough to sell you on fencing, after every point scored both fencers scream in a release of emotion. Whether win or lose. 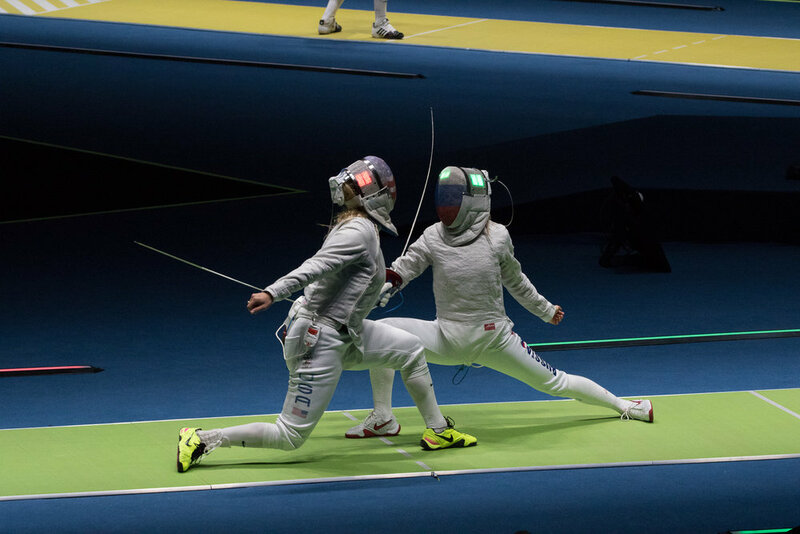 For someone not familiar with Fencing the quickness of the matches and emotion of both Fencers in the end made figuring out who actually scored a point very difficult. I guess that's why they have so many digital scoreboards. While at the Fencing matches I was lucky enough to get to see Ibtihaj Muhammad compete in several matches. Ibtihaj made headlines early as a Muslim Women on TeamUSA and for being the first US Muslim to compete while wearing a hijab. The importance of that aside she did an amazing job in the matches I watched and her friends and family who were there for support really represented the USA in a great way. 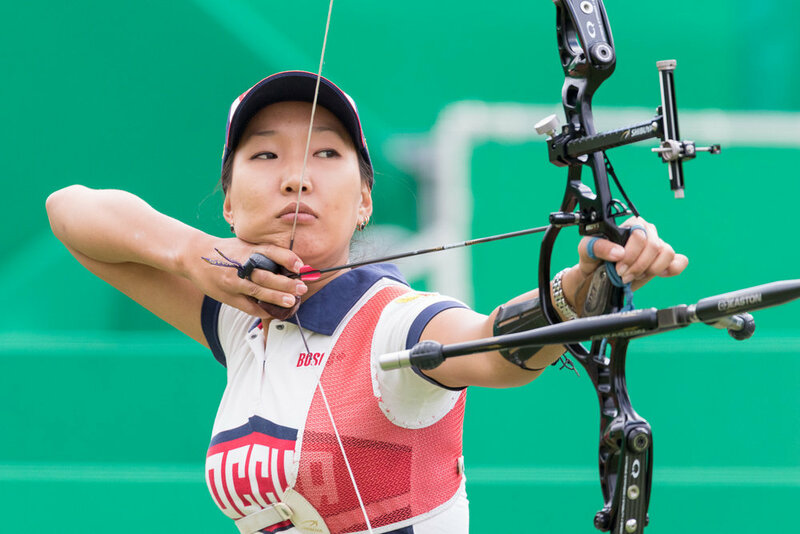 The first week of the 2016 Rio Olympics is over and it's been a long week. Not only is this my first time photographing the Olympics but it's my 1st time attending one. Brazil couldn't be a better location for a 1st time. The weather is beautiful and the city is full of amazing sites to see including Cristo Redentor one of the modern 7 wonders of the world. I had no hesitation when the job opportunity came to go to the Olympics even though the media had been playing up the negative side of Rio. You just don't get opportunities like this every day. I won't get into how the media is portraying Rio vs my own experiences but by in large the city has been pleasant and a positive experience. Transportation and communication are by far the 2 biggest hurdles I've faced the 1st week. Everyone is friendly and tries to make you happy but to often you just can't communicate. It's not the Olympics fault I'm sure they've done all they could it's just the way it has to be with so many foreigners in one place. Uber has been a huge help and very reliable here. You don't need to pay them or negotiate a price. They don't need to ask where you're going so you exchange pleasantries and you're off. As for the Olympic buses and trains the system is decent and moving this many people can't be easy but multiple transfers on different buses and trains makes for long lines and longer travel times. In 7 days I've photographed 10 events and for the most part I've stuck to events I've never shot or seen in past Olympics. Some are more photogenic then others and some get very little press coverage. I'd have to say fencing has been the biggest surprise and I enjoyed both watching and photographing the event. Some other highlights were boxing, seeing Michael Phelps swim and my 1st medal ceremony for women's trampoline gymnastics. Canada took the gold and where I was shooting from several girls from the Canadian gymnastics team were watching and cheering on their teammate. It was very exciting to be a part of. Some of the venues and events have been thin in the audience. It seems like tickets are still being sold and Brazil hasn't filled a lot of the preliminary events of the less popular sports. But the fans who do show up are loud and proud to be there supporting the athletes. The most impressive showing was Argentina vs Croatia in men's basketball. The noise and energy put out by the Argentinians in the crowd was insane. It's good they won I can't imagine the boos if they had lost. Everyone is having a good time and wants to be social. I've met lots of athletes family's and friends there for support. There is probably an entire book of content in just covering this one part of the Olympics. However I haven't been photographing this aspect nearly as much as I should. 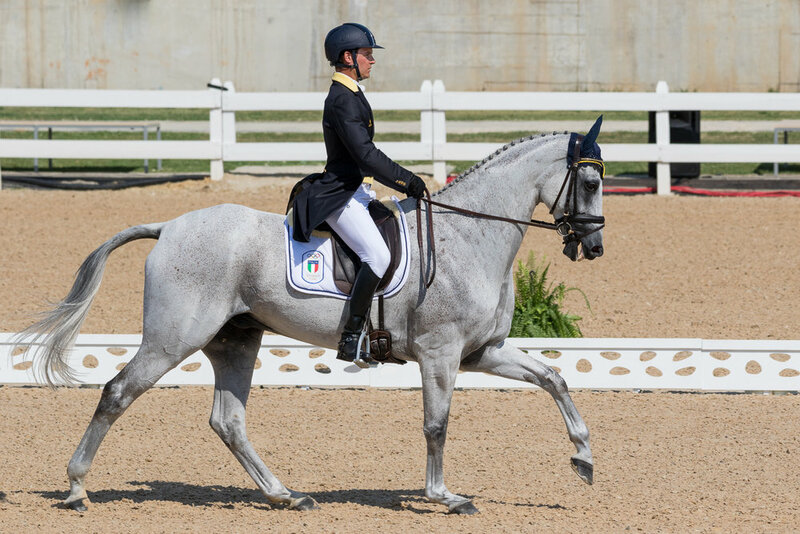 If given another chance to be at the Olympics this is something I will try to put more effort into. Besides meeting countless interesting people everywhere you go you never know who might bump into. At women's archery I found myself next to David Burnett who I'm lucky enough to have had dinner with previously through a mutual friend. While visiting the Cristo Redentor the largest tourist attraction in Brazil I turned around to find Tameka catchings, a women's basketball player I had photographed a year before. She is here playing for the US women's team and was just as surprised by the random encounter.